The knowledge I’m about to let you in on is something usually reserved for the ‘academic elite’… for the gatekeepers of ancient wisdom. In the next five minutes, you’ll find out how you can access all the most essential texts from the ancient world… and how to do it for FREE. The three Tragedians: Aeschylus, Sophocles and Euripides, thought provoking moments from their prize-winning plays such as Oedipus Rex, Agamemnon, Medea, and more, all originally performed at the height of classical theater in ancient Athens. A pretty huge anthology, I know. As you’ll see, getting access to these texts is usually reserved for those in the academic ivory towers. It isn’t the kind of wisdom most people have access to… or even know exist. I bet not one in 100,000 Americans even knows more than one or two of these authors…much less their astounding insights. For that reason, each one of these texts will instantly give you a ‘leg up’… an extra insight into the world, no matter your current age or income. I’ll tell you who I am – and why I’ve decided to share this book with you today – in a moment. You might think that we have progressed significantly since the classical age, that our politics would surely not be bogged down by the same messiness of the ancient world. Plato writes in The Republic that a democratic state can have only one logical conclusion… tyranny. He tells us that through the guise of democratic elections, brutes and tyrants will come to power. They will be disguised as protectors of the people, but in truth they are tyrannical men intent on upending the wellbeing of the state. I won’t name any names, but I’m sure you can draw your own conclusions. A normal citizen might not be aware of such a thing, but a classical reader would be all too familiar with the rise and fall of empires and dictators, the ebb and flow of history that affects us all. Now, some of your friends might think these ideas are far-fetched. If you were to discuss them at a dinner party, you might get funny looks from the other guests. Like I said, I suspect that less than a fraction of 1% of the population is aware of how much wisdom and insight is locked away in the texts of antiquity. But figuring out the future and understanding the present better by knowing the past is only one way that ancient history can help you day to day. Unfortunately feeling stressed out seems to be a common symptom of modern life… but it doesn’t have to be. In fact, several of these texts propose a type of philosophy that can truly help with your anxiety and worry, as well as offer a perspective that is essential when handling difficult situations in life. I know this, because it helped me… enormously. Before I read these texts I used to be a very stressed out person. My partner often complained about it. I was always worried about work, or working out, or my friends, or family, or making the next appointment on time. I worried about everything – so much so that I often couldn’t sleep at night. But then I discovered a series of ancient writings that describe a revolutionary philosophy. It helped me overcome my worry and anxiety and regain control of my life. The Stoic philosopher, Epictetus, for instance, suggests that much of our anxiety stems from our desire to impact things that are beyond our influence. Realizing what we have power over and what we do not, allows us to free ourselves of worry over things that we can’t control. Following this principle (and a few other important ones also found in the book), has made me a happier, better person. I now have a healthier lifestyle (all that worry is not good for the heart! ), a happier relationship and a more fulfilling job. All with the help of philosophy. Of course, Stoicism is only one philosophy that can help you out. In fact, this is something most people don’t realise, and that’s why they miss out. They think philosophy is a dusty old thing, rather than what it truly is: powerful, actionable wisdom that can help you in the here and now. While there are many thought provoking philosophies found within this book, there is also a full collection of literature, theatre, history and poetry, all of which can make you a wiser, more interesting and cultured person. Another member, Rob B. talks about…. So, how do you get started learning all the wisdom of the ancients? Stick with me and I’ll show you how. But first, let me show you a few more examples of the type of wisdom you can learn. If you haven’t heard of these lessons from the classics, it’s not your fault. Many of them are only discussed by the well learned, the highly educated and classically minded. They are far from mainstream. But in a few moments, you’ll have a chance to look at the most important Ancient Greek and Latin texts — for absolutely free. All of these important, life improving texts – and more – can be found in The Essential Classics. Except for one, that is, tucked away in an exclusive publishing house in the heart of Paris. That’s because this book isn’t for the average person. It’s not for couch potatoes and the do-nothing folks in the world. If you are one of those people, and I suspect you are, then you can have it… for Free. What is The Essential Classics? 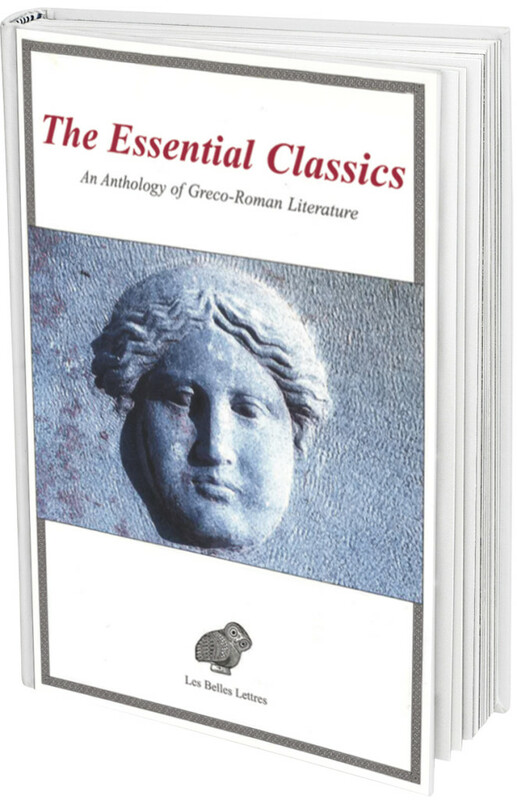 The Essential Classics is, hands down, the ultimate collection of Ancient Greek and Latin literature. It is the pièce de résistance of all classical anthologies today… a book found in only one bookstore on the planet. What makes The Essential Classics so special? The year is 1916, the First World War is at its height. The French linguist, Joseph Vendryes, is hoping to find a translation of Homer’s The Iliad to add to his army field pack. However, he is unable to find any adequate copies in French. 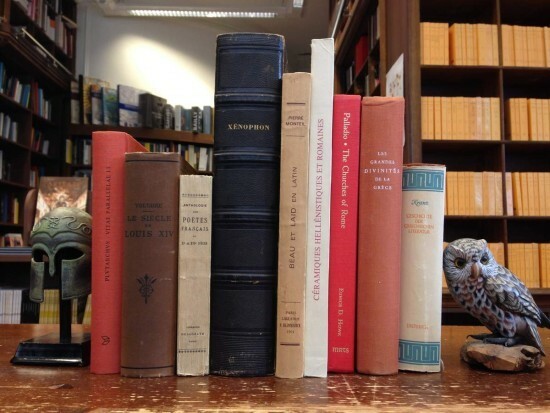 At the close of the war, he, as well as a number of other devotees of the classics, gather together to create Les Belles Lettres, a publishing house dedicated to preserving and sharing the classics. It was founded in the heart of Paris, and there it remains to this day. If you are ever in that neck of the woods, you can see the Les Belles Lettres store for yourself. It sits on the Boulevard Raspail, about a mile south of the River Seine. Classical readers who do venture to the city of lights would find the trip quite worth the effort. You ring a small bell on the front door, then enter into a quaint shop and are greeted by literary masterpieces shelved from floor to ceiling. Our main collection faces you when you enter, all yellow books are Greek… all red are Latin. Among all our selections, all the timeless pieces of literature, our most popular English text is The Essential Classics. And like I’ve mentioned, you don’t have to schedule a trip to Paris to get your own copy. I’m willing to send you a digital book for free, within the next few minutes if you choose. And if you do decide to accept our invitation to receive The Essential Classics, you won’t just be getting a free ebook. You will embark on a mission that is thousands of years in the making. You will be recruited to become a champion of the classics and all that they represent. translations of the ancient classics. We remain one of the last true bastions for the literature of antiquity. In fact, you could say that Les Belles Lettres and Classical Wisdom Weekly are on a mission. It has been estimated that there are 1,200 documents from the classical age. As of now, Les Belles Lettres has identified and published 976 of them. However, we aim to compile and preserve the remaining 224 texts within the next two decades. In essence, we are on a mission to protect the heart and soul of Western culture. A grand and intimidating task for sure, but one that is of the utmost importance. You can help in this goal. You see, preserving these masterful works means nothing if modern readers cannot discover them for themselves. Why Are You Passing up All This FREE Stuff? 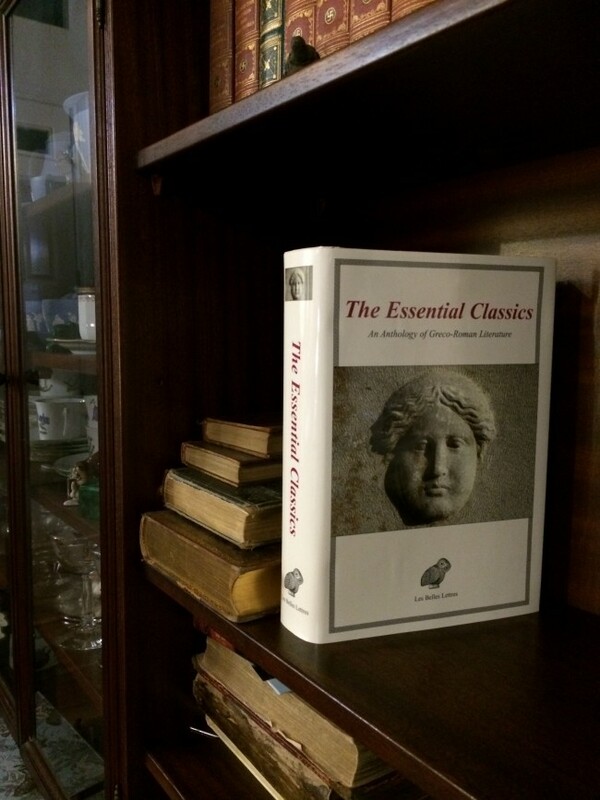 The Essential Classics is full of amazing texts that will help you become happier, more interesting and better educated. You’ll find all of this tucked inside The Essential Classics. I promise. And I’ll prove it. Just let me send you a complimentary copy of The Essential Classics — and you’ll soon see what I mean. Of course, The Essential Classics is about more than just getting a free ebook. It might just be the most important thing you ever do. You see, the philosopher Aristotle believed that the true purpose of a human life, our whole reason for being, was to achieve eudaimonia, or “human flourishing”. Eudaimonia was not a state of being or a feeling, it was an active pursuit of wisdom and understanding. It was an exercise in self-reflection and contemplative study. It was a way to not only achieve a good life, but the best life. So consider The Essential Classics as more than just another book. It’s your ticket to the crossroads of ancient wisdom and modern happiness. It’s about learning how to enhance your wisdom, happiness and outlook on life… in other words, achieving eudaimonia… all without putting a dent in your billfold. To be sure, these people aren’t high-level academics. They don’t have unique access to anything you can’t have yourself. They were just lucky enough to uncover what you’re about to — and they took the initiative to sign up. Not everyone will want this book. It’s really only for those who want more out of life, those of us who are looking for eudaimonia. But once you have it, you will enjoy it for the rest of your life. Living the life you want doesn’t have to involve any enormous sacrifices… and it doesn’t have to involve working much harder than you would normally. All it takes is working smarter with ideas, concepts and lessons already brought to us by the ancients. There’s no need to reinvent the wheel and the view is always better when standing on the shoulders of giants. 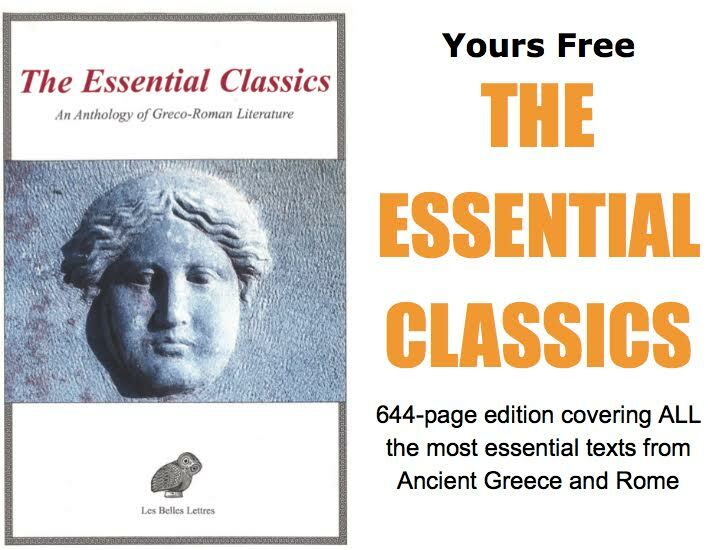 As I said earlier, I’ve arranged a way to send you a copy of The Essential Classics for Free. If you’re skeptical, I don’t blame you. Even a few of my closest colleagues told me recently that giving away so many books for free is a terrible business decision. My name is Van Bryan and I am the Associate Editor of Classical Wisdom Weekly. Our fast growing publishing house is not located in one spot. In fact, all of our editors and contributors are spread around the world, from Buenos Aires to Bangkok; New York to New Zealand. And our whole goal is to spread the classics, and bring the ancients back to life. Since we started a few short years ago, Classical Wisdom has grown to more than 25,000 subscribers. And now, in order to achieve our goal of spreading the classics even further, we’re giving away all the most important ancient texts in this book, The Essential Classics. Each of the hand-picked original selections will help you become a more enriched, thoughtful person. In fact, if this is your goal, then this could be the most important book you’ll get this year. This presentation is more than just an invitation to check out our book. People who want to read some of the greatest texts ever written and referenced … generate more thought provoking conversations and stimulating relationships… and find a truly fulfilling and happy life. If this is you, my team and I are on a mission to help you make your dreams a reality. Yes, giving away a full anthology may seem like an unusual way to grow a business. But it works for my business, and more importantly, it means we have satisfied members. If you don’t start today, then when will you? And how much time in the interim will you spend without having the wisdom of the ancients at your fingertips? What life changing text will you have not enjoyed? How many opportunities will you miss out on because you failed to act today? Of course, it’s up to you if you want the wisdom found within The Essential Classics. All you have to do is simply agree to try out our anthology at MY risk and I’ll email you the entire 644+ page digital book for free as my thank-you. If you don’t like what you receive, you can keep the book and all its wisdom. If all of this sounds good so far, I’ll show you how to claim your complimentary copy. The world is just as it has always been. The lessons from the Ancients are still powerful and life changing. That’s why we are giving away The Essential Classics. So you can have all the greatest Ancient Greek and Latin texts, at your fingertips. Just give me the word… and I’ll email this free book your way. It’s massive. You get 644 pages of Ancient Greek and Latin Literature, from Homer to Marcus Aurelius. This includes epic poetry, tragedies and comedies, historical accounts, and philosophical musings. Plus, there are detailed maps of the Ancient World, a timeline of Classical antiquity, a comprehensive chart of Olympic deities as well as clear introductions and footnotes. It provides a solid foundation – a one stop shop of Ancient Wisdom. It can be hard to know where to start if you want a classical education. Knowing which are the most important books – and selections from the books – can only be had as a result of years and years studying the classics. We do that work for you. With this one book you can have the basics covered on Ancient wisdom. You’ll never be overwhelmed — because you can read the texts to suit your needs. Whether you’re retired… employed… self-employed… married or single… you can read these text from the Ancient world that can hugely improve the quality of your life. It doesn’t matter who you are or what you currently do. You’ll find that most… if not all… the wisdom within The Essential Classics inspirational and thought provoking. In fact, the people who are already enjoying the literature, history and poetry right now are all over the map as far as age, looks, smarts, and income level. The Essential Classics isn’t the only thing I want to give to you today. I’ll tell you more about these gifts — and what else you’ll instantly receive today — in just a moment. 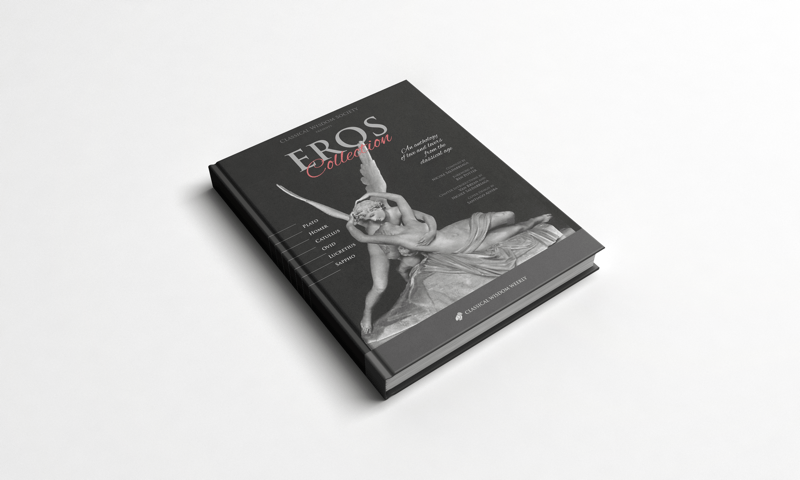 To claim your 100% free copy of The Essential Classics, just simply agree to a risk-free “test-drive” subscription to Classical Wisdom Litterae. Classical Wisdom Litterae is my pride and joy. It’s a monthly newsletter that delves even further into the history, texts and ideas of our ancient forefathers – all in an enjoyable and engaging manner. With Classical Wisdom Litterae, I promise you’ll receive thought provoking articles, quizzes and columns that explain and analyze the ancient world. 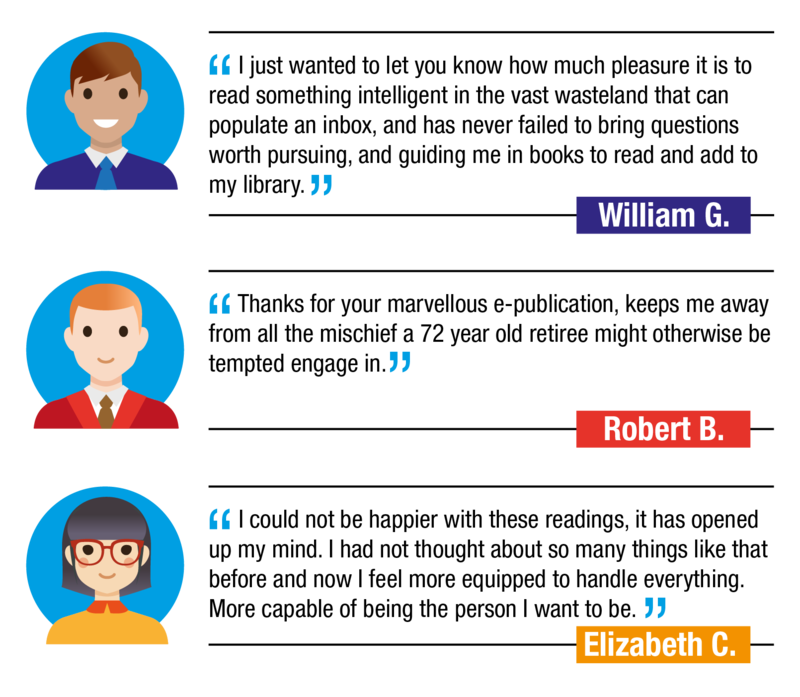 It’s like having your own team of experts on your side, sending you a steady flow of insights and wisdom. I guarantee you’ve never seen anything quite like it. But don’t take it from me. As soon as you take our risk-free “test-drive,” you’ll be entitled to receive valuable digital books along with your 644 page copy of The Essential Classics. Of course, we’ll send you your free copy of The Essential Classics right away. 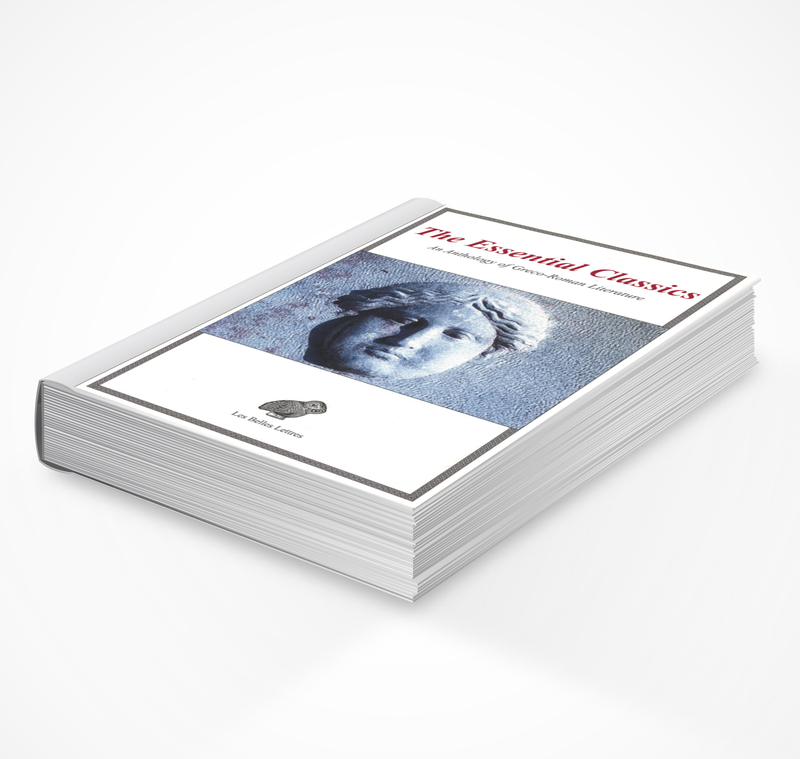 We will email you your own copy of 644 pages of Ancient Greek and Roman texts. It includes the philosopher, Plato, a man who was so influential that one ancient commentator considered him to be the wisest man to ever live. As well as the father of History, Herodotus, whose Histories is considered to be the first work of historiography in the Western world… PLUS 30 more Classical Greek and Latin authors, from Aristotle and Aesop to Xenophon and Tacitus. It’s the best anthology yet, and I’m proud to send it to you free of charge just for trying us out for a full year. 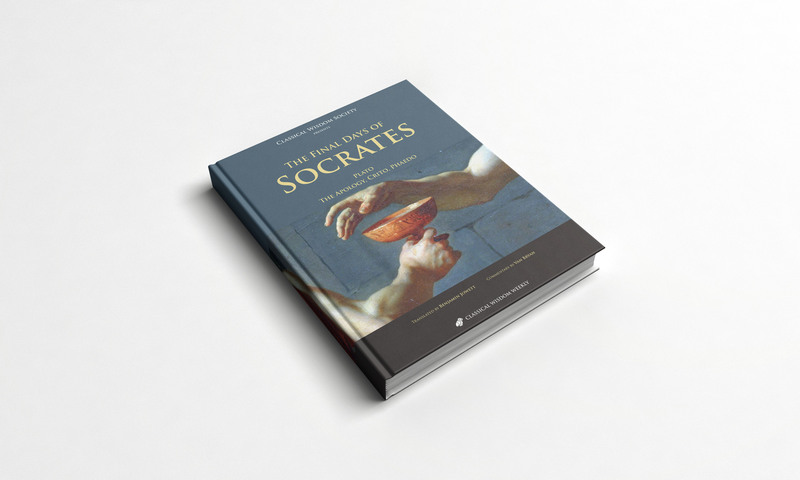 You’ll receive a free digital copy of The Final Days of Socrates where you can relive the final days of The Father of Western philosophy as he is put on trial for his life. Socrates is accused of impiety and of corrupting the youth of Athens. Enjoy three of Plato’s masterpieces, The Apology, The Crito, and The Phaedo as we trudge alongside Socrates to his inevitable demise at the hands of the Athenian courts. Delve into the world of the Ancients with the most epic poetry to have ever been written. 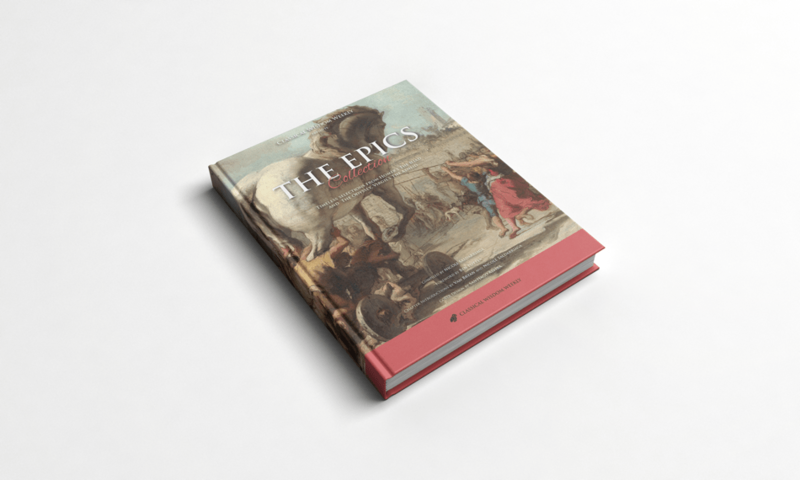 Including ALL THREE of the essential Ancient stories, the Epics Collection ebook includes Homer’s Iliad and Odyssey as well as Virgil’s Aeneid. This one book includes 450 pages of some of the most important, most beautiful stories ever written. Any fan of ancient military history will find themselves right at home here with Herodotus’ Histories. 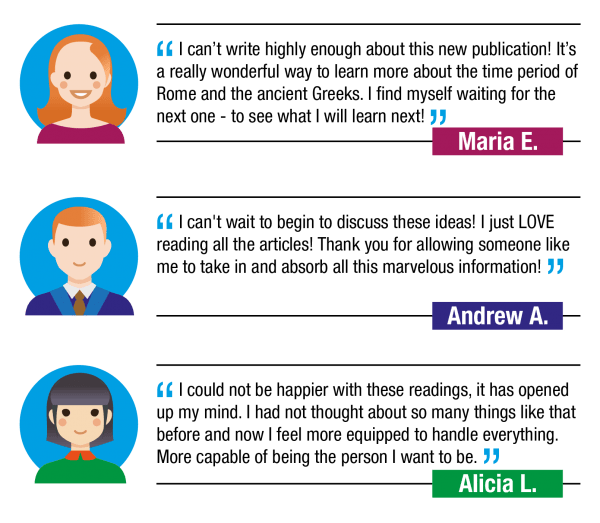 Enjoy commentary and introductions from the staff of Classical Wisdom Weekly alongside the original text in the ultimate historian’s ebook. If the ancients took one thing seriously, it was love. In fact, it is estimated that there are thirty words that refer to different types of love in ancient Greek. The classical authors had plenty to say about love. Whether it was Homer, who espoused that it was the love Odysseus felt for his wife which allowed him to triumph over so many obstacles, or Plato who writes on the origins and functions of love in his The Symposium, there is an absolute treasure trove of classical love stories from the ancient world all collected in this one ebook. 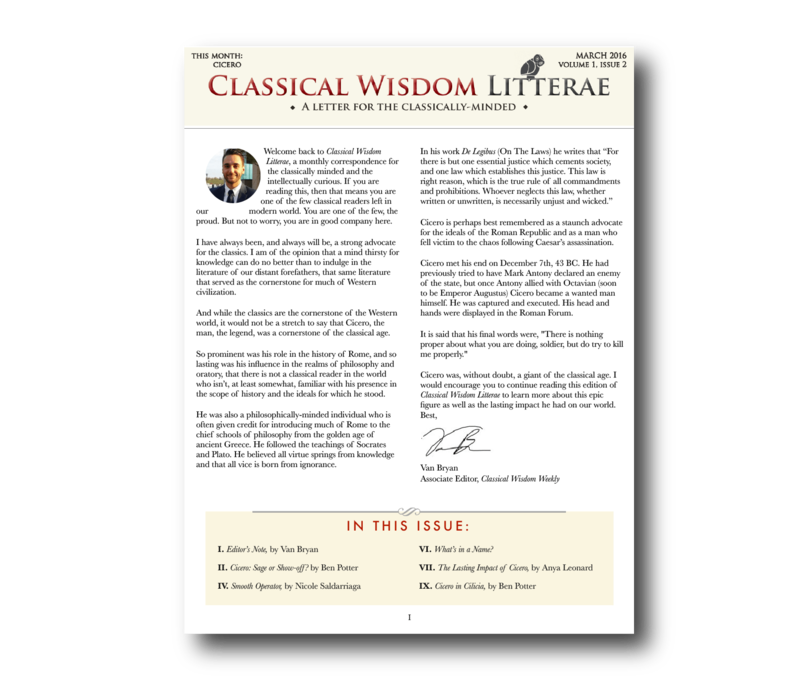 And of course, you’ll receive 12 monthly issues the of our flagship newsletter, Classical Wisdom Litterae, which is emailed directly to your inbox. Being a member of Classical Wisdom Litterae is like having a team of experts supplying you with a steady flow of the most important wisdom to have come from western history. You’ll have an edge in life unlike anyone! Conservatively worth a total of $160. Whether you decide to stay with us… or find a good enough reason to cut your trial period short, you can keep all of these bonuses as your gift from me. You deserve all of them just for giving our insights a shot. As long as you act within the next few minutes, you’ll be able to join us for our special “Reserved Member” price… and get our 100% risk-free guarantee. For everything I’m offering you today, I think $80 is highway robbery. But that’s not how much you’ll pay. Far from it. By taking our risk-free test drive today, you’ll pay only $39 today for an entire year. That’s more than 50% off the full price. It’s the lowest price I can responsibly give you. To put this price in perspective, this comes out to about a dime a day. While the regular subscriber will receive the five ebooks we listed above, as well as a year long subscription to Classical Wisdom Litterae, there are undoubtedly those who will be eager for even more classical wisdom. This person knows the value of a classical education, and would be eager to receive unfettered access to the treasure trove of classical literature available from Classical Wisdom. If that sounds like you, then consider becoming a Charter Member of Classical Wisdom Litterae. Charter Members will get everything that‘Reserved Members’ receive… plus A LOT more. For starters, Charter Members don’t receive a one year subscription to Classical Wisdom Litterae, or even two or three years. Become a Charter Member today, and gain a lifetime subscription to Classical Wisdom Litterae. You will never have to resubscribe, never worry about missing a new issue. Charter Members that are subscribed to Classical Wisdom Litterae become our preferred customers, our first class passengers, FOR LIFE. And that’s just the first perk of becoming a charter member. As a Charter Member, you will also receive The Essential Classics in Hardback. A beautiful, heavy bound book will arrive on your doorstep, a perfect addition to any library or office. With a value of $85, this 644 page book, published in Paris, makes the Charter Member option a steal. Also included is our brand new Audio Library to which Charter Members have exclusive access. You can download and listen to the Classical Wisdom Podcasts that explore all the history and literature of the classical age. 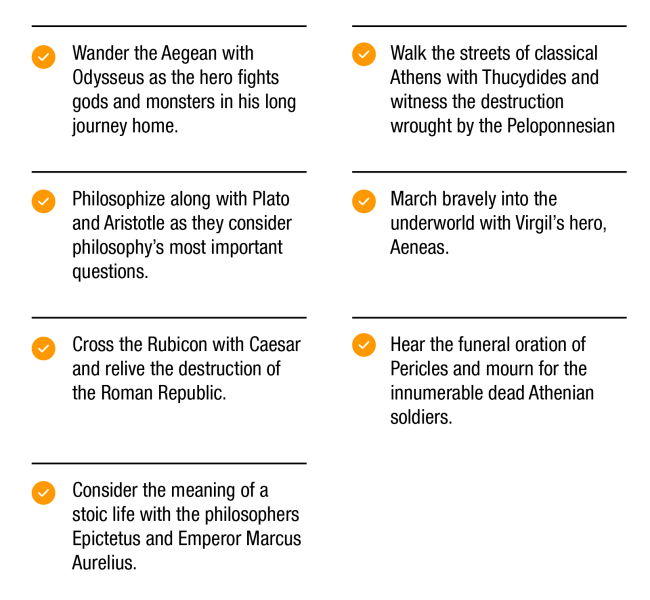 Discover the secrets of Socrates during your morning commute. Roam the battlefields of Troy while sitting on the train. Go for a jog and discover the life and times of some of the greatest figures from the classical age. We also give our Charter Members access to Classical Wisdom events for Free. A perfect companion in any study of the Classics, The Essential Classics Hardback book is a beautiful addition to the home or office. 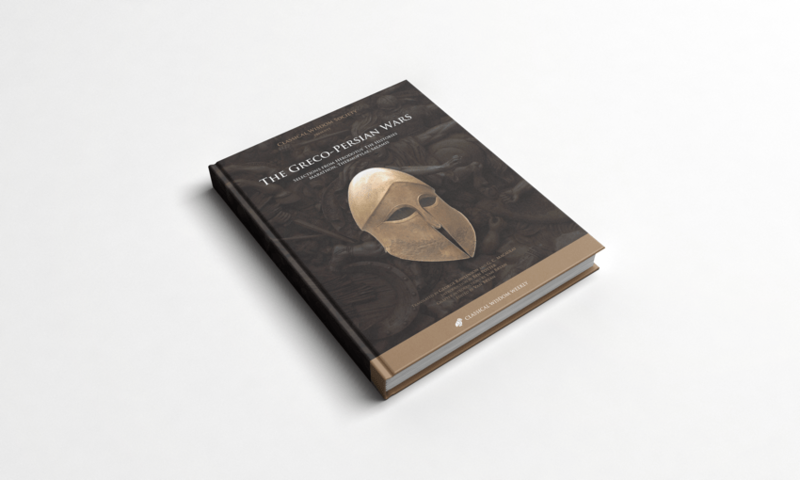 Over 600 pages of the most important Ancient Greek and Latin texts in one place for your perusal. Prefer to listen to Classical Wisdom articles, texts and biographies? You can now receive access to our brand new Audio library where podcasts, columns and original content will be uploaded regularly. Charter Members receive free access to upcoming Classical Wisdom events. As space is limited for our events, Charter members still need to reserve a space to ensure their spot, but they will not need to purchase a ticket. And For A Limited Time ONLY…. For a limited time only, Charter Members will also receive a 24K gold-plated, museum quality replica Attica Athena’s/ Owl coin (22mm, 8-14 grams weight) crafted with precision and care in the heart of Greece. Made to the exact specifications of a classical Athenian drachma circa 475-465 BC, these coins would have been in mass circulation during the height of the classical age. On one side is the Athenian owl, an enduring symbol of wisdom and knowledge, head facing with spread tail feather. On the reverse is the goddess Athena, patron god of Athens and protector of the classical heroes, wearing the crested Attic Helmet decorated with three olive leaves over Visor and a spiral Palmette on the bowl. While it will be open for only a limited amount of time (with a limited number of books and coins), this offer will ensure you get your money’s worth. As well as access to the brand new Classical Wisdom Audio Library. 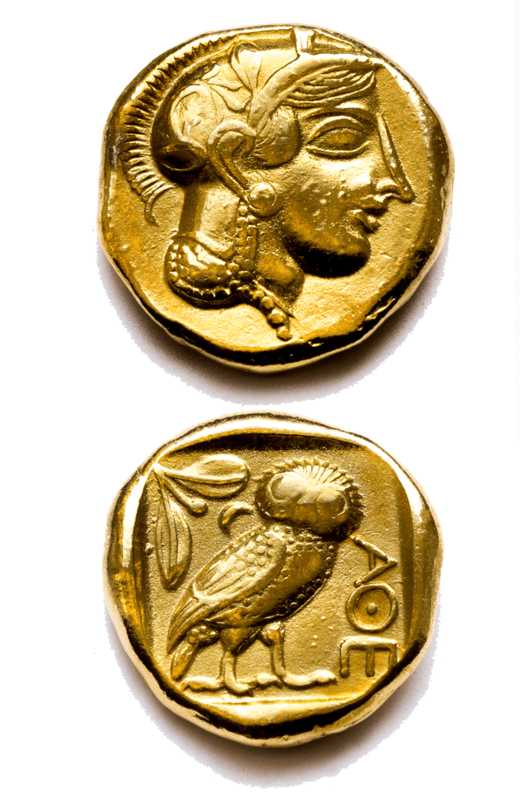 AND, for a limited time only, a beautiful Ancient Greek 24K gold coin, with the owl on one side and Athena on the other. All included, this option is worth a total of $455. THAT INCLUDES THE HARDBACK EDITION OF THE ESSENTIAL CLASSICS! But all you have to pay, to get everything that the Charter Membership gives you, is $199. That’s right… more than half off. And don’t worry; you can cancel your subscription at any time. Also, our 30-day warranty guarantees you a full refund of your purchase price if you cancel in the first month. Let me repeat that. You can receive the Classical Wisdom Litterae and The Essential Classics today and be guaranteed a full refund if you are unsatisfied. We will even let you keep The Essential Classics as a parting gift. But keep in mind I’ll be forced to give your FREE copy to someone lower on the list… and maybe less deserving. It is, after all, first come, first served. Also, this offer won’t last forever. And I think it would be a shame if you missed out on all the amazing things you could learn in the next week… month… and year. It would be an even BIGGER shame if a year from now, you looked back and wondered what remarkable things you could have learned… if you only read these essential works. Of course, you don’t NEED me or my staff to make your life incredible. You might be able to find many of the texts in The Essential Classics on your own. But you’ll never find them in one place… and you’ll needlessly waste countless hours trying to do the work that we’ve already done. To get started today, simply click on the SUBSCRIBE NOW button below. Don’t delay. Get started today by clicking the SUBSCRIBE NOW button below.